Felt Tape | J.V. Converting Company, Inc.
JVCC FELT-08 Polyester Felt Tape is a 3mm thick synthetic needle punched felt made from polyester fibers. One side is felt, and the other side has adhesive. Commonly used for joining and temporarily repairing fabric, curtains and cloth drapes in backdrops. Felt material is also used for filtration applications, gaskets, wipers, and padding in a wide variety of industries. JVCC FELT-08 hides seams being photographed, and is used for applying a clean, dark edge to platforms, flats and portals. Can also be used to create matte borders or edges and to line display and jewelry cases. JVCC FELT-09 Polyester Felt Tape is a 4mm thick synthetic needle punched felt made from polyester fibers. One side is felt, and the other side has adhesive. Commonly used for joining and temporarily repairing fabric, curtains and cloth drapes in backdrops. Felt material is also used for filtration applications, gaskets, wipers, and padding in a wide variety of industries. JVCC FELT-09 hides seams being photographed, and is used for applying a clean, dark edge to platforms, flats and portals. Can also be used to create matte borders or edges and to line display and jewelry cases. 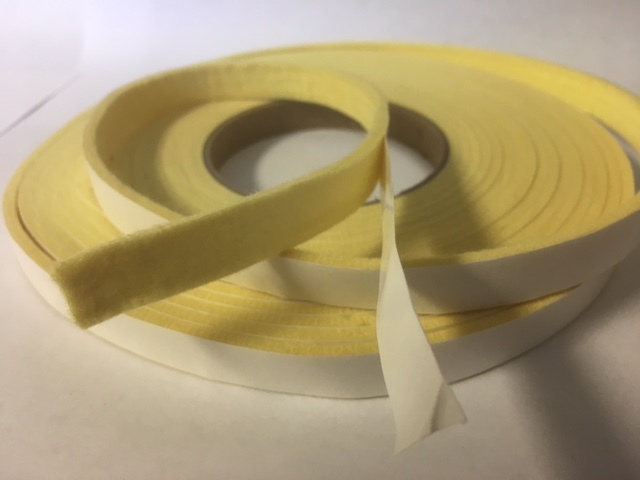 JVCC ACF-06 Felt Tape is a is a 1mm thick acrylic craft felt tape coated on one side with a synthetic polymer adhesive. Craft felt is used by hobbyists and when applying light weight, pressed, or needle punched felts for crafting projects. Other uses include joining and temporarily repairing fabric; for curtains and cloth drapes in backdrops; children’s crafts; holiday decorations; card marking; and scrapbooking. Felt material is also used for filtration applications, gaskets, wipers, and padding in a wide variety of industries. JVCC ACF-06 can hide seams being photographed, and is used for applying a clean, dark edge to platforms, flats and portals. Can also be used to create matte borders or edges and to line display and jewelry cases. It is the easiest felt product to work with by hand since its paper liner removes quicker and without as much effort compared to other felt products we sell. Typically has a fuzzier appearance and is used for applications where long term wear and tear is not a requirement. Craft felt is the most economically priced felt we sell. Colors currently stocked in 1/2 wide include Black, Dark Brown, Emerald Green, Indigo Blue, Neon Lime, Neon Orange, Neon Yellow, Red, Shocking Pink, Tan and White. JVCC K1 is a Para-Aramid Felt (Kevlar) that is made in The USA and coated with a high temp ( 400F / 204C) aggresive acyrlic adhesive. Due to their rigid molecular structure, para-aramid fibers have a high tenacity, tensile modulus, and resistance to heat. Para-aramid fibers have similar operating temperatures to meta-aramid fibers, but have 3 to 7 times higher strength and modulus. This makes them ideal for reinforcement and protective applications. 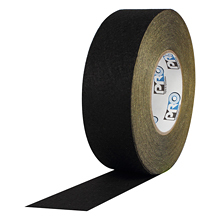 You can design and make your own protected surfaces with this Kevlar tape. Works great for protecting industrial parts during shipment, canoe/kayak/boat keels from dragging on sand & rocks. Cork is a natural raw material which is 100% biodegradable, recyclable, and renewable. A recycled cork stopper is never used to manufacture a new stopper, but its recycling has endless uses, from materials for construction, fashion, sport, art, the aeronautics industry, and many others. This product is 1/16″ thick cork laminated with an aggressive rubber adhesive and wound on a paper release liner. Create a useable cork surface on wood, metal, plastic, anywhere the tape will stick. Works for: sound & vibration dampening as well as arts & crafts projects. DuvePro is a polyester/felt joint with permanent acrylic adhesive on a silicone paper release liner. DuvePro can be used to create an instant backdrop. Also, it can be used to repair and seam curtains. Blocks out light and “hot spots”. DuvePro can be used to cover lighting trusses or to create a header on a display. DuvePro is Velcro® compatible.